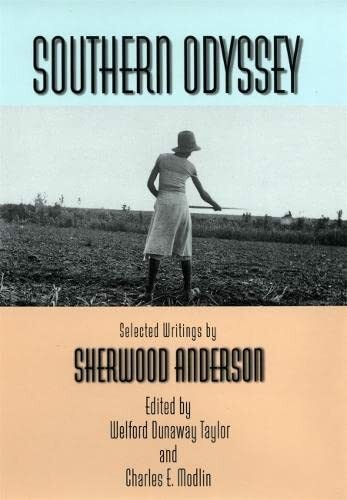 This collection of pieces contains a selection of Sherwood Anderson's writings about the region where he spent the last 16 years of his life. In texts covering both journalism and fiction, Anderson explores the people and problems of the Southern USA. "Seldom given as much attention as they deserve, the archetypal Ohioan Anderson's last 16 years in and around Virginia are the focus of this helpfully introduced and unobtrusively annotated selection of essays. . . . These essays, all vintage Anderson in style and tone, help explain the last phase of a seminal American literary career. Recommended for all libraries." --"Library Journal"
Seldom given as much attention as they deserve, the archetypal Ohioan Anderson's last 16 years in and around Virginia are the focus of this helpfully introduced and unobtrusively annotated selection of essays. . . . These essays, all vintage Anderson in style and tone, help explain the last phase of a seminal American literary career. Recommended for all libraries.--"Library Journal"
Seldom given as much attention as they deserve, the archetypal Ohioan Anderson's last 16 years in and around Virginia are the focus of this helpfully introduced and unobtrusively annotated selection of essays. . . . These essays, all vintage Anderson in style and tone, help explain the last phase of a seminal American literary career. Recommended for all libraries.